Features: This cup is a premium version of the popular Koffee Kup. 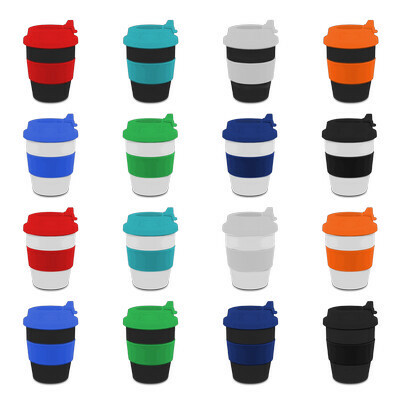 The cup is double walled and features a protective cap.Thecup itself comes in Black or White. However the band and lid are available in a variety of colours including Green, Teal, Navy, Red, Blue, Black, Whiteand Orange to name a few. Price includes : 1 COLOUR 1 POSITION PRINT. Setup is included.